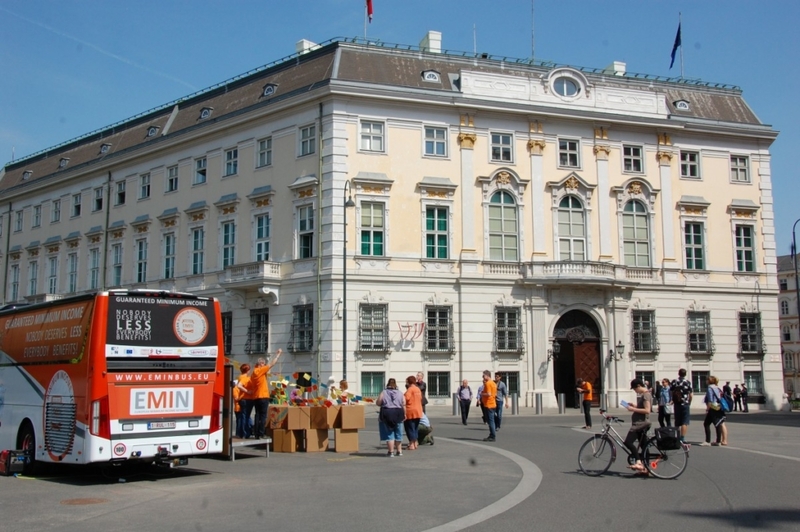 Yesterday our bus stopped in front of the federal chancellery and the office of the Austrian federal president at the Ballhausplatz. 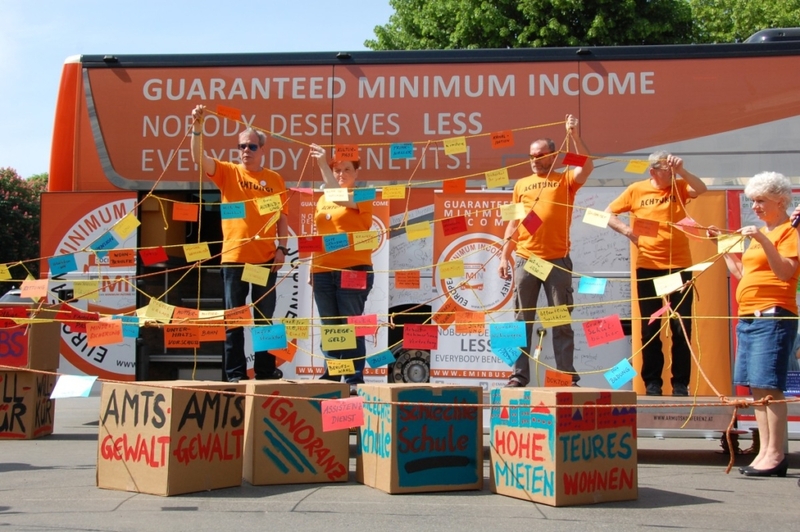 Together with People Experiencing Poverty and members of the Austrian Network we symbolically tied a “social net” which includes adaequate minimum income and had a foto-action with some media attention. With a short note we were included in the news of Austrian national TV-station (ORF). Please find here a longer german report and some picures.